Did you know that wildling tribes ate their opponent’s brains for the same reason that we, civilized people, go to school? Exactly: to become more intelligent. They thought that after such a meal, cleverness would emerge and, in time, they would improve their methods of killing their enemies. Consequently, they had more brains at their disposal and became smarter! But that proved to be just a story. People realized that intelligence is either acquired or existent from birth. And you don’t need to be extremely smart to realize that! This was how school appeared. This institution, agonizing and boring, had to prove its results. Were you becoming smarter by going to school? How could you prove it? The first attempt was made by measuring one’s actual head circumference. Results were uncertain, either due to lack of precision instruments, or simply for the obvious reason, the skull does not expand as easy as the brain increases its volume. Until one day, one of the smartest men applied himself a face palm and went off to invent the IQ test. But enough with the stories; in what’s following, I’ll tell a true story about intelligence. One with a twist that you would never imagine. 1 Who’s the smartest man in the world? 2 Who is Kim Ung-yong, actually? 4 Back home, out of the frying pan into the fire! Who’s the smartest man in the world? Intelligence is a fascinating but complex subject. This is the reason why it’s also very difficult to research. IQ stands for Intelligenz-quotien. The term is assigned by German psychologist William Stern, who wrote about it in 1912. Coincidentally, the same abbreviation suits an English translation: intelligence quotient. And so it spread worldwide. The hero of our story, Korean Kim Ung-yong, exceeded the scale! There are several classifications of IQ scores. Wechsler classification labels you “normal” if you get between 90 and 109. Great intelligence is between 120 and 129, and 130 and over labels you as “gifted”. Under 90 starts the shame. Between 80-89 is kind of a goofy average, between 70-79 places one near the border, and if you get under 69, then you most likely you can’t even read this. is the maximum quotient that a man could receive on an IQ test, as they were originally designed. There are other methods of classification, but the scores mean about the same. And as the tests were designed, nobody could ever have an IQ above 200.
is the score obtained by Kim Ung-yong after an IQ test, conducted in 1977. The reason why I presented you with all this information is so that you can comprehend the difference and realize that this individual is amazingly intelligent! Some say it’s the highest IQ on a test certificate. That is not an estimation, as happens in some cases (especially for geniuses of the past). 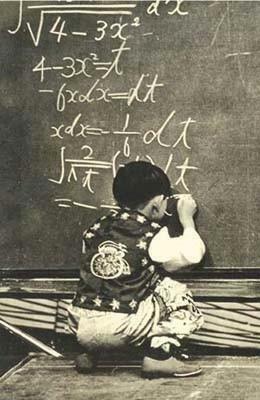 Kim Ung-yong even made an IQ test, under the supervision of specialists in 1977, when he was 14 years old. And he entered into the Guinness Book of World Records with this score, as the man with the highest IQ. Since 1982, the editors of Guinness have changed the methodology for this record, trying to find a less questionable measurement. But different candidates for the title came with all sorts of arguments. By 1989, the editors of Guinness freaked out. The record for the highest IQ was removed from the book, because the measurement cannot be done accurately, especially at a superior level. How does a little kid’s brain develop? What color is our brain? What effect do the leaves of the passion-flower have on the brain? How relevant is having the highest IQ? It is difficult to give a straight answer to this question. IQ tests were designed especially for the minds of the regular population. Many scientists argue that for special people, special tests should be developed, different from those of normal ones. Even if there were others brighter than him, it is certain that Kim Ung-yong is amazingly intelligent. And I will tell you his tale. 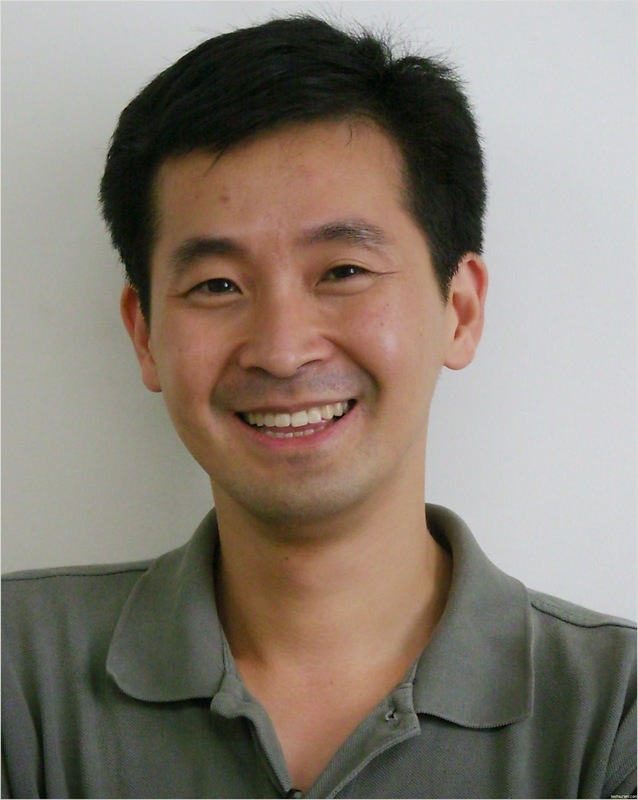 Who is Kim Ung-yong, actually? Kim Ung-yong was born on March 7, 1963 in Seoul, South Korea. He was a brilliant kid. His father, who was a teacher, expressed that the child began speaking Korean at 6 months. At the age of 3, he knew how to read. And not only Korean. He was reading Japanese (ever tried doing that? ), German, and English (which for an Asian are as difficult as Korean is for a Westerner), plus several other languages – so not to get bored in between. At the age of four, the age when a child barely knows how to count well, Kim Ung-yong was already solving integrals 1)”Record IQ is just another talent” – interview with Kim Ung-yong, conducted by Hwang Jurie and published in The Korea Herald on October 6, 20102)”Education: What Ever Became of Geniuses?” – article published in Time on December 19, 1977. During breaks between equations, he was memorizing words. He knew two thousand words in English and in German. But he prefers composing poems and essays in Korean and Chinese. Parents, being proud of him, placed them all into two booklets. The international press was already writing about him 3)”Korean genius, 4, poses problem for high school” – article published in The Washington Post pe 10 aprilie 1967. You tend to believe that parents exaggerate when talking about their offspring. Well, Kim Ung-yong got an invitation, at the age of four, to join the Ulysses S. Grant High School, a prestigious educational institution in Los Angeles. His father enrolled him in February 1967 to become a high school student. At the age of seven, he was solving differential equations live on Japanese television 4)”Record IQ is just another talent” – interview with Kim Ung-yong, conducted by Hwang Jurie and published in The Korea Herald on October 6, 2010. Just in case anyone had doubts about his knowledge. I bet you were only at the stage of writing some beautiful dashes and dots at this age. The child sounds like a character from a science fiction novel. And at that time his capabilities were even more extraordinary than those found in people today. However, this is real. The Americans could not miss seeing such an extremely rare mind put to work properly. So, at the age of eight, Kim Ung-yong was brought to NASA. At the beginning, he was given some learning activities. But in 1974, he began working alongside some brilliant individuals. And so he spent almost a decade at NASA 5)”Record IQ is just another talent” – interview with Kim Ung-yong, conducted by Hwang Jurie and published in The Korea Herald on October 6, 2010. Cool, huh?! Especially at the time when the space race was in full swing and the first men were walking on the Moon, many kids were dreaming of working at NASA. The reality is that for Kim Ung-yong this wasn’t at all an enviable decade. He characterized these years as a time of loneliness, a robot life. “At that time, I led my life like a machine ― I woke up, solved the daily assigned equation, ate, slept, and so forth. I really didn’t know what I was doing, and I was lonely and had no friends,” he says, remembering that period 6)”Record IQ is just another talent” – interview with Kim Ung-yong, conducted by Hwang Jurie and published in The Korea Herald on October 6, 2010. Overwhelmed by longing for his mother, he realized that something was wrong with the life he was living and he left NASA. Back home, out of the frying pan into the fire! And there he was returned to his native Korea, where his loneliness was replaced by the glare of mass-media spotlight. All the newspapers had articles about him and he immediately realized that worse than not having friends is having all eyes on you. In those years there was no social media, so journalists had greater power and used it to keep close to Kim Ung-yong all the time. A particularly clever mind – which, naturally, “looked good” in the pages of publications. Certainly, he didn’t miss the sad days spent in the ivory tower of NASA, but neither did he miss all the unwanted attention directed at him. He decided it was time to fit into society. To become a young man like everyone else. To recover some of the lost time. He wanted to get a regular job, nothing attractive for the media. He told everyone that there are a lot of talents and each field has its own genius peaks, he just has one such talent, no big deal. Dare mess with the press? Immediately he earned the anathema “genius loser”. Excessively praised at first, the young man was now attacked by the press and gave as an example of how one can miss happiness. This could have been true, in a sense, if looking at life through the eyes of a person with only money and fame in mind. Only Kim Ung-yong was smart enough to realize that money and fame do not mean happiness. So there he was, seeking a job, like everyone else. You’re probably thinking that must have been a cinch, such a mind can work anywhere he wants. Only that even a great man gets held back by the system. To get a job he needed a diploma. No papers, no good. Seeing as he started living in the United States when he was little and his part in the educational system had been rather chaotic, he did not have it. I think you’ve already figured out: when you have an IQ of 210, any complicated issue becomes simple. In a single year, he had passed all elementary school and secondary school exams, and the next year he passed all high school exams. Then he attended a provincial college, mostly for the pleasure of sitting next to those of his generation, to make friends, to gain life experiences. In short, to be a normal person. And then he took a job as: clerk in an office! Now, do not think that he had disowned his intelligence. During his lifetime he published studies in hydraulics, and in 2007 succumbed to the temptation to become a lecturer. Only that this is far from what others hoped from him. Critics of IQ tests are sounding the alarm, saying they do not take into account other types of intelligence. People with a high intellectual capacity, who are good at math or have enviable language skills, may fail in other areas, such as emotional intelligence. Also, it is not uncommon for a very smart person to completely fail at common sense, so-called “educated jerks.” You know their kind, walking encyclopedias that have special pleasure in displaying their cleverness, except they get even more praise and make you look like a fool. These people brilliantly fail at human relations. They’re not to be criticized; in fact, we should feel sad for them, but you must admit that they deserve a good slapping, right?! And those who deserve a slapping certainly cannot boast with having a lot of friends. There is also another problem: the test takes into account the speed with which you can solve some tasks, while real intelligence is often seen in the work of a lifetime. There are great minds that don’t have extremely high IQ. As I told you, Stephen Hawking’s is located around 160, certainly genius level, but well below 200. Asked if he’s happy, Kim Ung-yong said, “I consider my life a success ― there aren’t many people who do what they really want to do, but I do.” 7)”Record IQ is just another talent” – interview with Kim Ung-yong, conducted by Hwang Jurie and published in The Korea Herald on October 6, 2010 That simple! Both you and I know that. Now that we have confirmation of a genius, do we have any reason of doubt?! Many geniuses dedicated their entire life to pursue a scientific purpose. Some found their way in doing what was expected of them, others have gone crazy. Our Korean did not feel at ease as a prisoner of his own cleverness. I imagine him running in circles, not climbing a mountain. Go, go, go, and suddenly you’re back where you started. For a person who doesn’t find his path, this is fatal. For Kim Ung-yong, it was a deliberate thing. He was high up top, he saw what was out there and preferred to return among ordinary people. This is how he felt fulfilled. What good would have come from being smart if it wouldn’t have helped him find his inner peace? “Blessed are the poor in spirit.” Perhaps this parable of Christ applies in this case. Or maybe it has deeper meanings. I wouldn’t know how to answer, my IQ is among the normal. What do you think? Personally I would have abandoned all sense of humanity and devoted the rest of my life to study’s. I love nothing more than science and mathematics. I have only a few friends buts that’s ok. He did it right thing, he just left his job at NASA. And simply walk towards to find inner peace. ! He definitely found his happiness with his intelligence and I applaud him for that. I only wish I had such a magnificent brain to work with! I think I wouldn’t mind devoting my life to gaining knowledge and helping the world improve. But then again, the grass is always greener.